Car Race Circuit is a cool car racing simulator. The steering is simple and fun to use for all race liking players. Only tap the gas and brake buttons to control the speed of your red racing car. 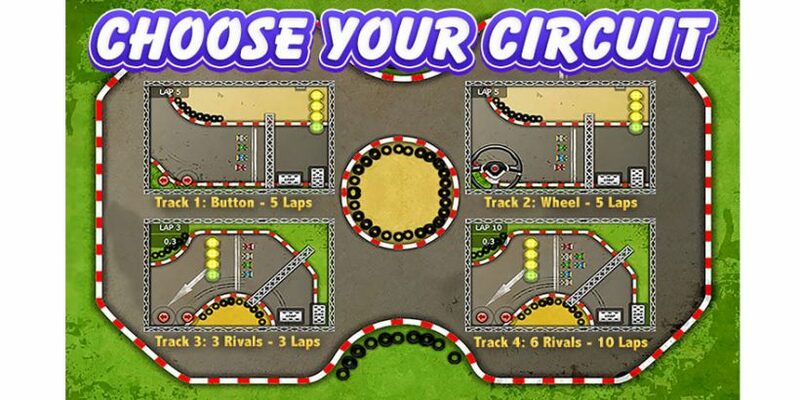 Track 2 uses a steering wheel and the other 3 tracks uses arrows to steer your car. With intelligent AI built into the opposing vehicles and obstacles, track hazards and speed power-ups you can get a lot of fun.